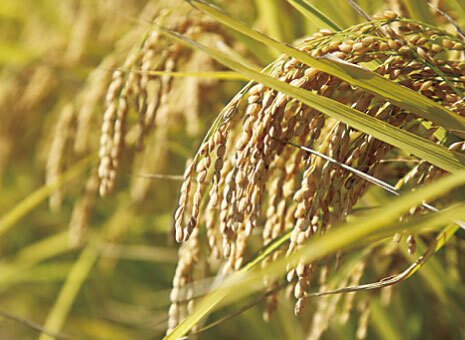 Striking "Rice Bigness", "Shining Whiteness", "Scent",and "Glutinousness". Rice itself is special meal. Each one bite leads you to supreme bliss. 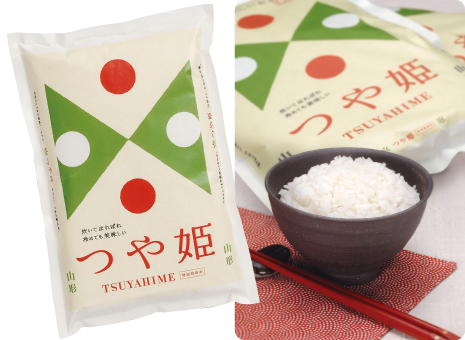 Tsuyahime is safe, fabulously delicous, and special rice that agricultural craftspersons in Yamagata have grown with their devotion. We offer such Tsuyahime to customers who love "White Rice" more than anything else. Yamgata is a veritable kingdom of fruit! An abundance of flavors are available throughout the year. The ruby colored jewel of the orchard. Cherries are one of the typical early summer fruits. 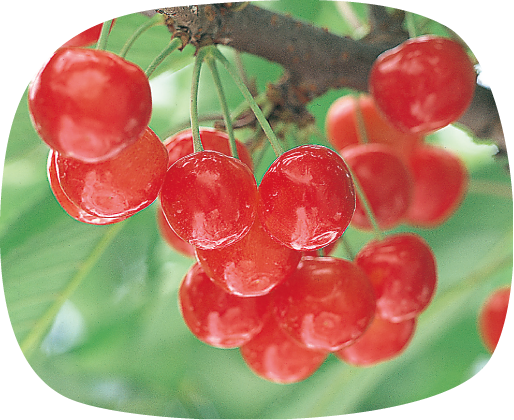 Yamagata Prefecture accounts for about 70% of Japan’s cherry production. Glowing a brilliant ruby, Yamagata’s cherries have an abundance of sweet juice, which will fill your mouth as you bite into the flesh. Some cherry-based sweets are also available. A wonderful fragrance and melt in your mouth flavor. Yamagata Prefecture is the highest European pear producer in Japan. 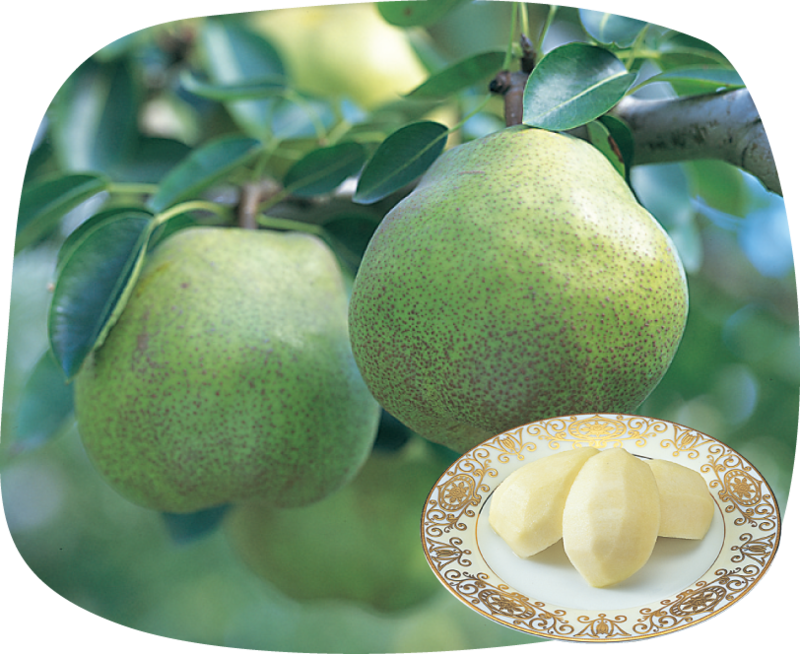 Among the varieties of pears, La France is particularly exquisite, known as the Queen of Fruits. 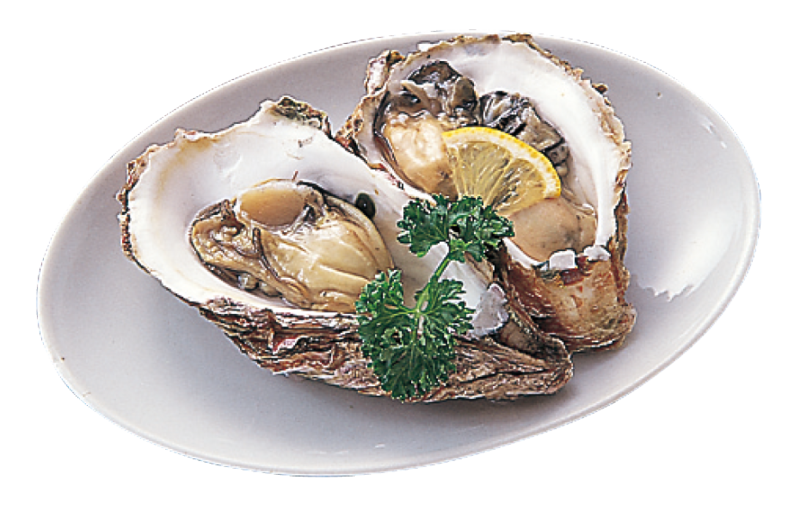 Contrary to its rough appearance, La France exhibits a dense sweetness, creamy texture and elegant aroma, delighting your taste buds. Many different sweets made with La France are also available. Yamagata Prefecture has cultivated Japanese pears for over 250 years. 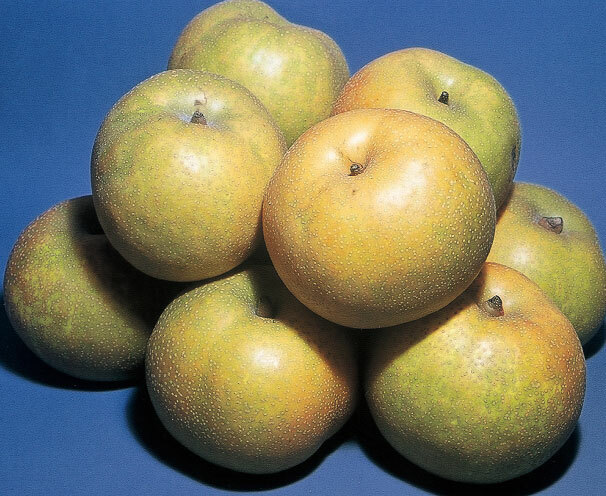 Pears grown mainly in the Shonai region within the Prefecture include Kosui and Hosui pears, which are characterized by their juicy, crisp flesh. Full bodied and with a refreshing sweetness. Strong sunlight during the daytime, along with the coolness of the night, makes melons taste sweeter. 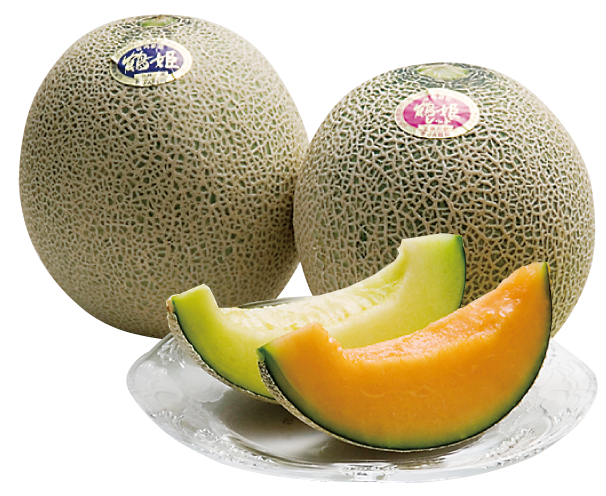 Yamagata Prefecture cultivates both outdoor-grown netted melons and Earl’s-type melons, using greenhouses as needed. Fresh, juicy, and bursting with flavor. Yamagata Prefecture is the northernmost among the nation’s principal peach-growing regions, as the fruit prefers a temperate climate. 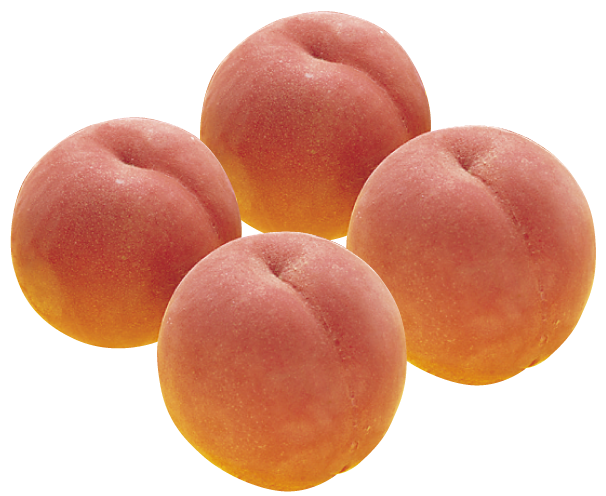 The coolness of the summer nights in Yamagata helps produce sweet, flavorful and juicy peaches. Watermelons are one of Japan’s summer features. 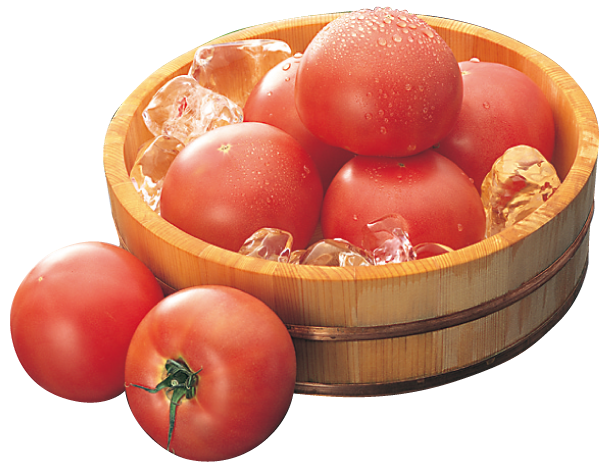 Yamagata Prefecture ranks first within Japan in watermelon shipments in summer - July and August; and ranks third in the nation’s watermelon production. 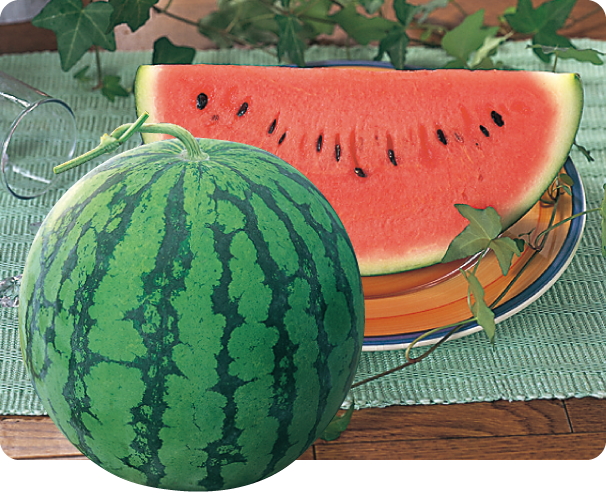 A large temperature difference between day and night improves the flavors of watermelons. Sugar content 15%! Seedless and incredibly sweet. 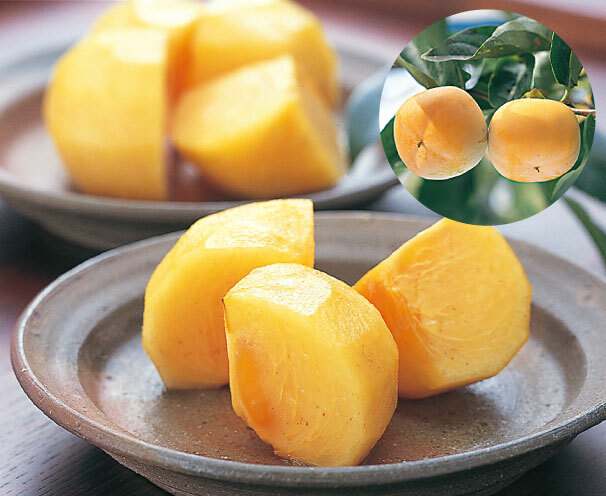 Grown in Yamagata Prefecture are square-shaped and seedless persimmons with a pleasing flavor and a very sweet taste. Among a variety of fruits, persimmons are particularly rich in vitamins and carotene. 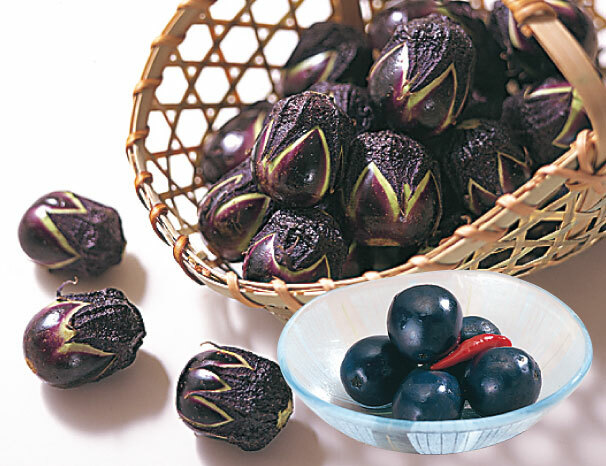 Yamagata Prefecture has cultivated persimmons since the Meiji period. These apples are shockingly sweet! Yamagata Prefecture is the third largest apple producer in Japan. 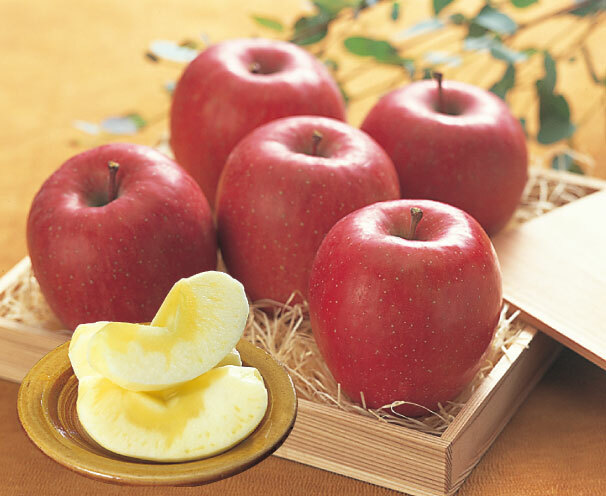 Fuji apple, a predominant variety grown in the Prefecture, possesses a juicy texture with a high amount of nectar or mitsu (transparent yellow flesh) inside, which you can fully enjoy. 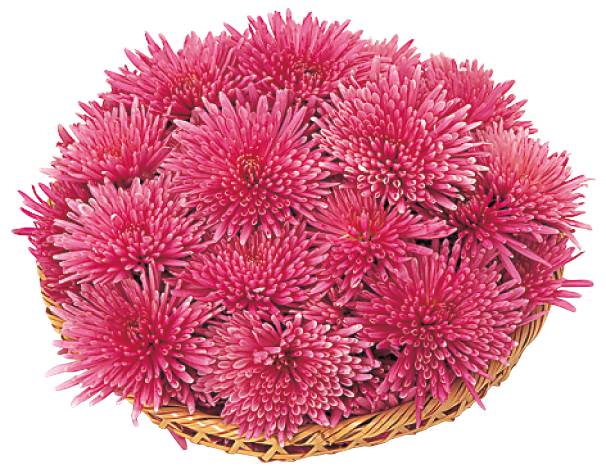 Very popular and sweet as honey. 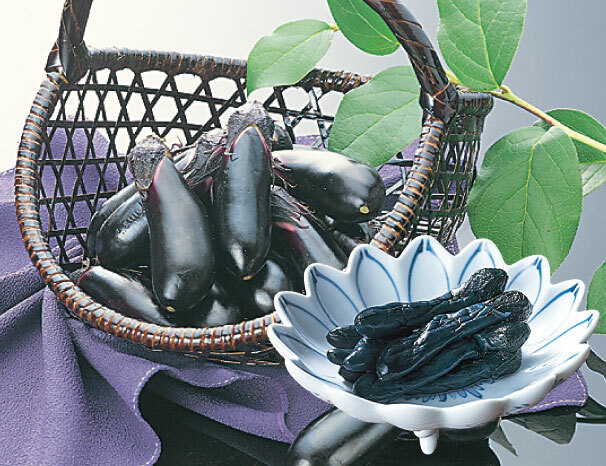 Yamagata Prefecture has a long history of grape cultivation dating back to the early Edo period. Experiencing drastic changes in temperature between night and day, the Prefecture is a perfect place to grow grapes. 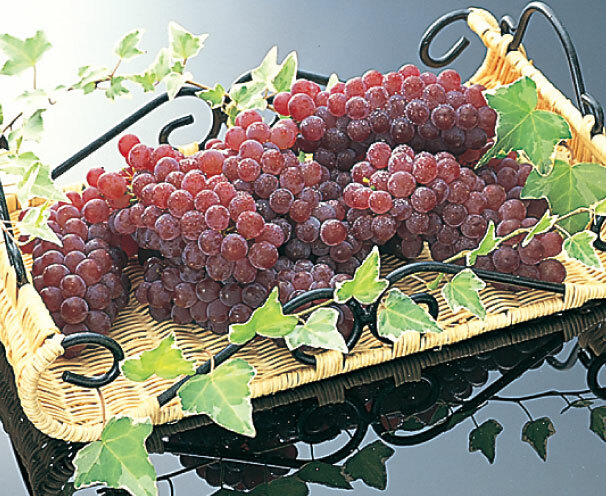 Different varieties of grapes, from one with small berries to one with large berries, are produced in Yamagata Prefecture. 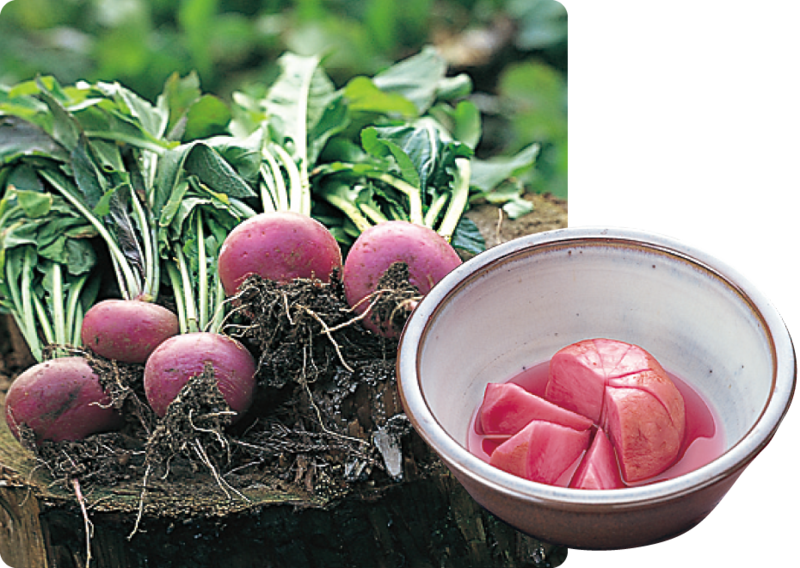 Yamagata is home to healthy vegetables overflowing with flavor, grown in both green houses and in fields. 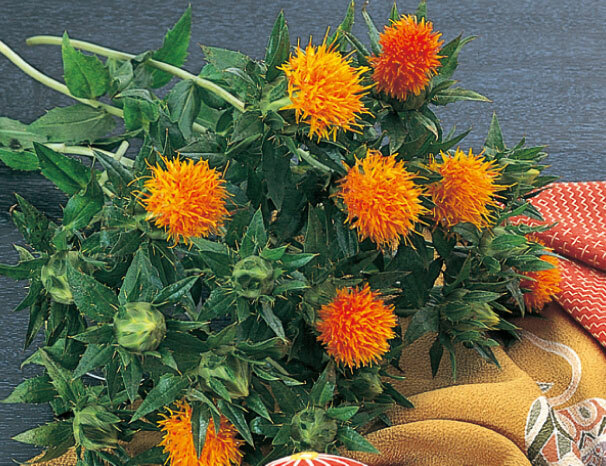 It's unthinkable not to know about these edible flowers, with a Japanese name that means "unthinkable"(mottenohoka)! These extravagant edamame are renowned as the best in Japan. 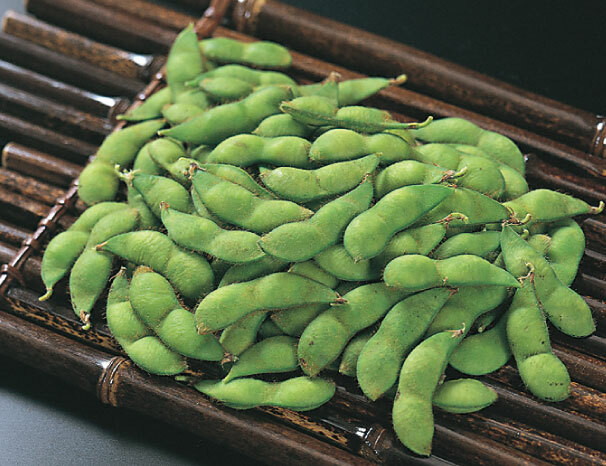 Yamagata Prefecture is Japan’s second largest producer of green soybeans or edamame. A wide variety of Edamame are shipped to market from late July until early October. 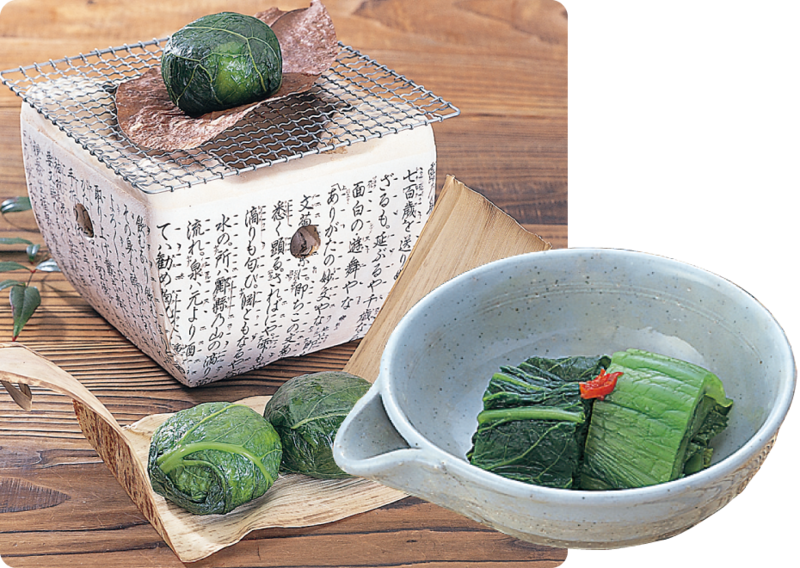 Savor Edamame from Yamagata Prefecture, where delicious tastes are always put first. Frozen Edamame and a large choice of Edamame-based sweets are also available. 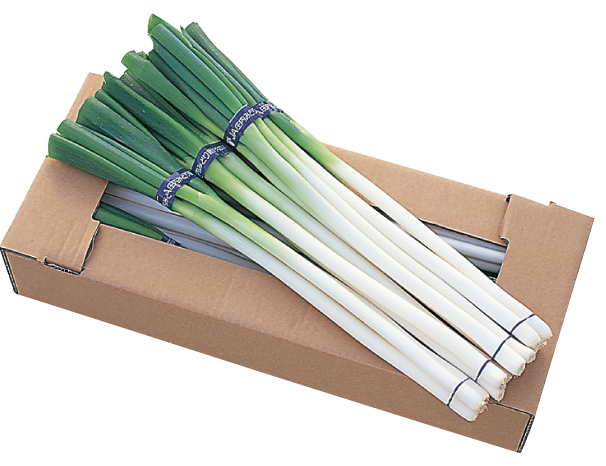 Great for overnight pickling when in season! Helps to keep skin healthy and beautiful! Their soft skin makes them perfect for pickling! 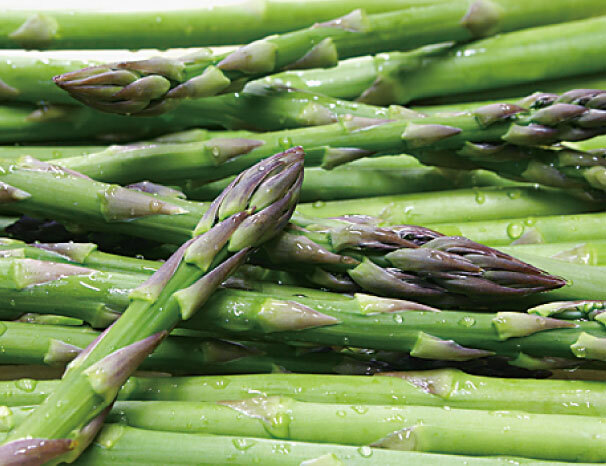 These healthy vegetables are a great energy boost! You'll fall in love with this crisp texture. 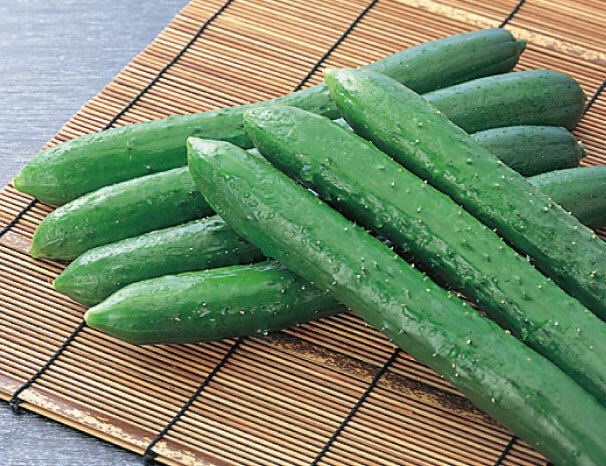 Sink your teeth into these crisp cucumbers! 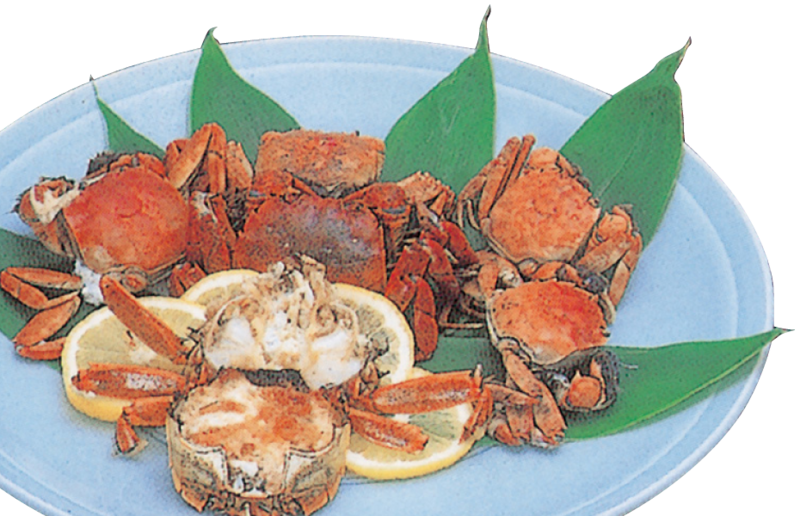 Enjoy the taste of freshwater and saltwater seafood. 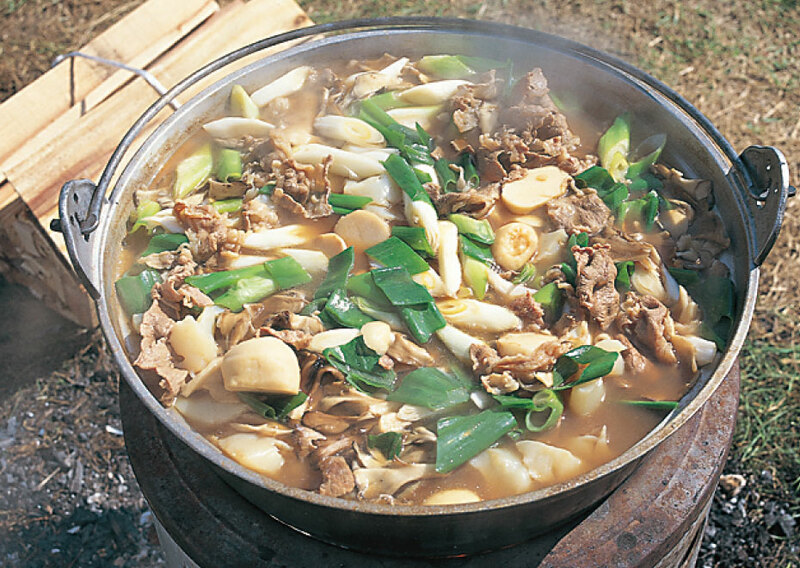 The taste of Shoai Beach in Spring. Fresh in summer from the cool, underground waters of Mt. Chokai. 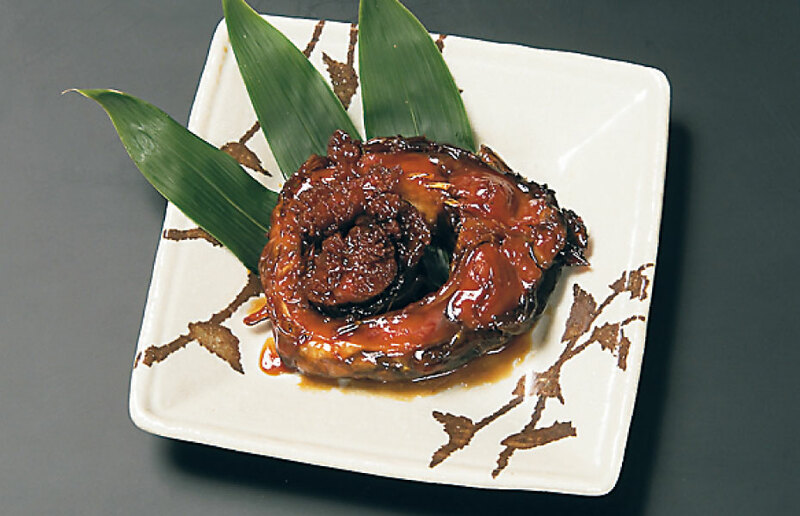 Kanimiso, a delicacy made from crab organs, is mellow and extremely rich. The fine marbling of this prime quality beef comes from pedigree. 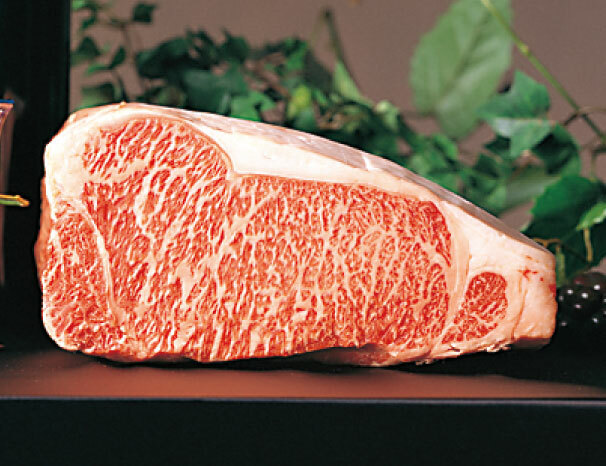 The delicious flavor of Yamagata's beef is, ultimately, the result of the environment in which the cattle are fattened.Yamagata has extremely hot summers and cold winters, and the difference in temperature between day and night is vast, Because the cattle are raised with utmost care in these conditions. the meat has exquisitely thin marbling. Make sure to try this delicious and deeply satisfying beef. 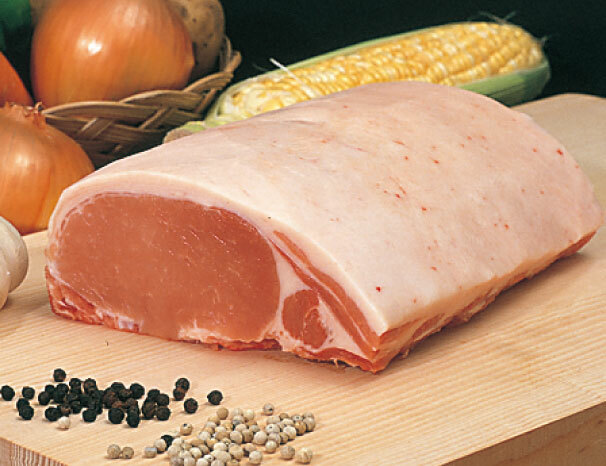 Safe, healthy, and delicious pork. A delicious, full bodied, and elegant taste. 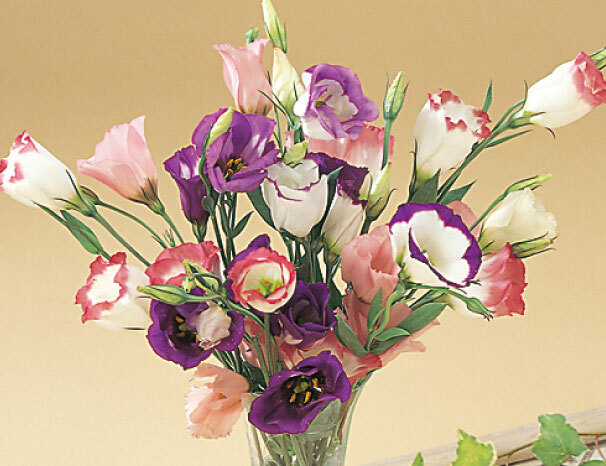 These carefully cultivated flowers bring each of the four seasons to life with their vibrant colors. The queen of flowers, beautiful and colorful. With their charms lying in the colorful and elegantly shaped flowers and rich fragrance, roses are used for several occasions, such as gift-giving and the making of flower arrangements for decoration. 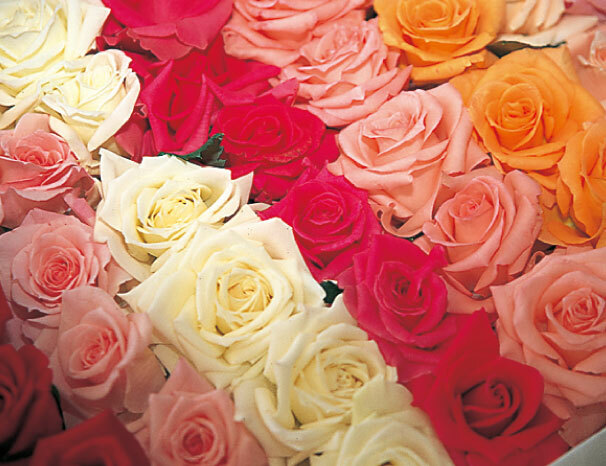 Yamagata Prefecture, which grows roses mainly during summer and autumn, is ranked third in Japan’s rose production. Even during the winter snow, this indoor plant is in full bloom. Benefiting from the early advent of autumn and technology to regulate flowering, Keio-zakura cherry blossoms in Yamagata Prefecture come out even in the middle of winter. All of the blossoms being in full bloom on the supple branches is nothing but gorgeous scenery. Savor the early coming of spring in Yamagata. 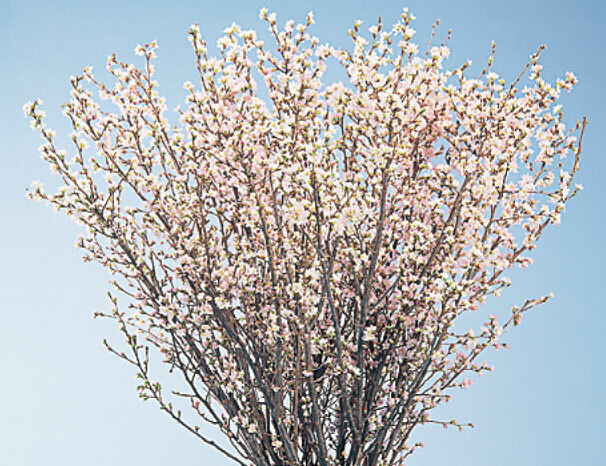 Yamagata Prefecture produces more Keio-zakura trees than any other prefectures in Japan. 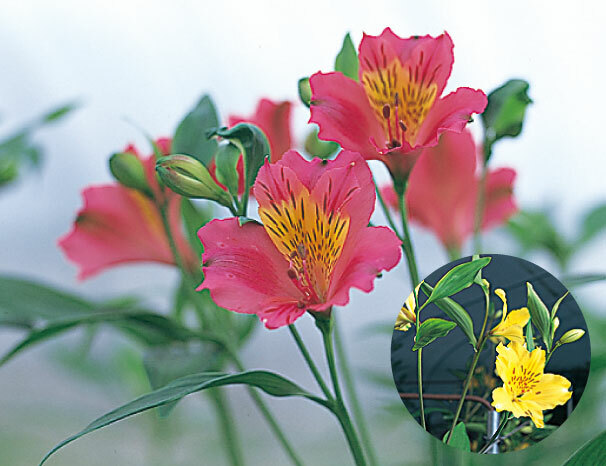 This soothing flower came to Yamagata by way of the silk road. 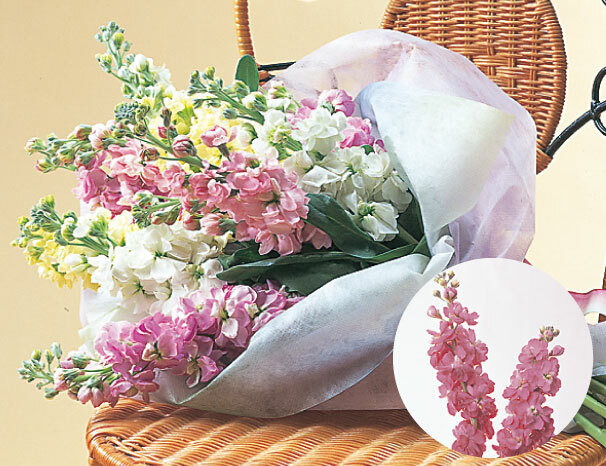 This flower's sweet fragrance hangs in the air. A long living plant with vivid colors. 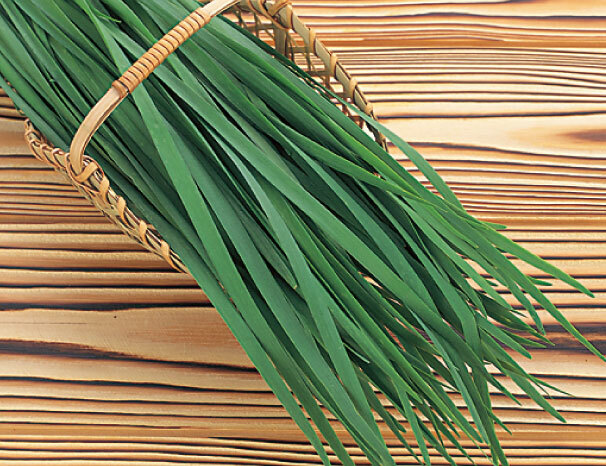 Grown using logs from Yamagata, creating an environment similar to wild mushrooms. 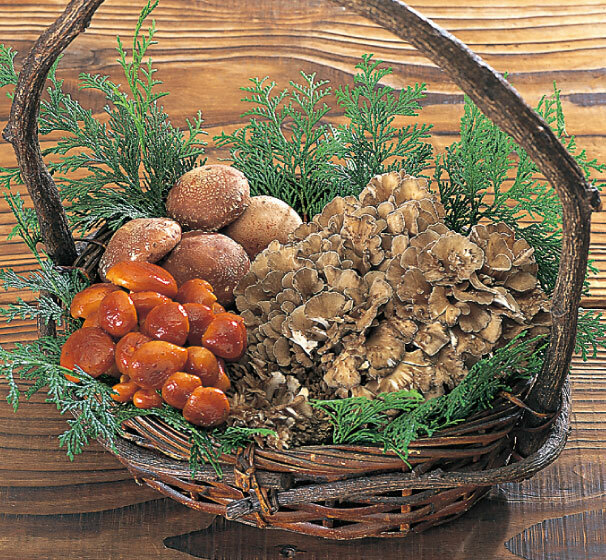 Cultivated on logs and in mushroom beds, this mushroom's delocious flavor is the pride of Yamagata. If you find one of these, you just might dance with joy. 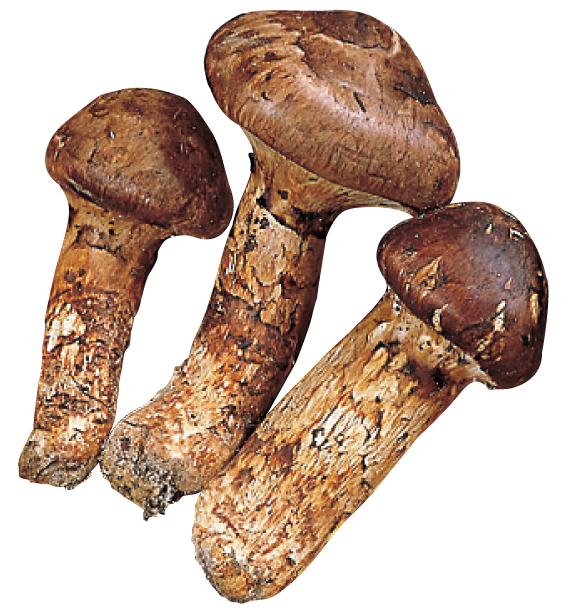 Mushroom hunters are always on the lookout for matsutake, the king of mushrooms. An exciting new vegetable experience. 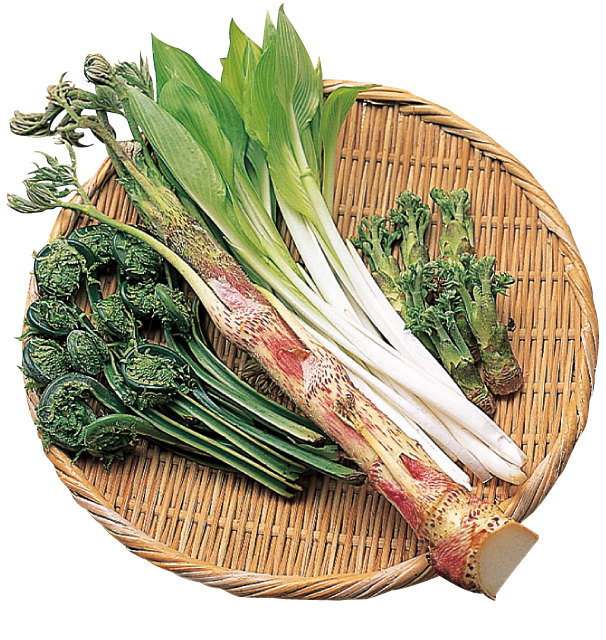 Fry this in a tempura dish to enjoy the taste of early spring. 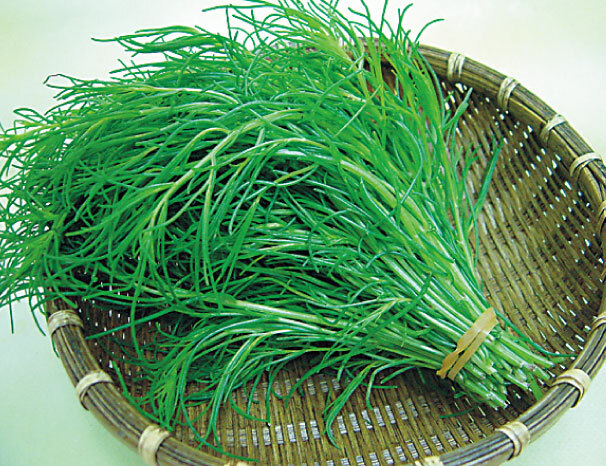 Perfect for goma-ae salad with sesam’ea dressing! Make sure you get a whiff of their delicious scent. 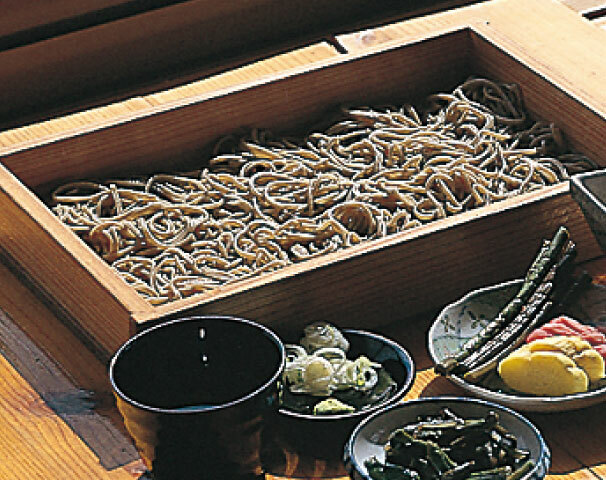 A unique type of soba from Yamagata, the soba kingdom. 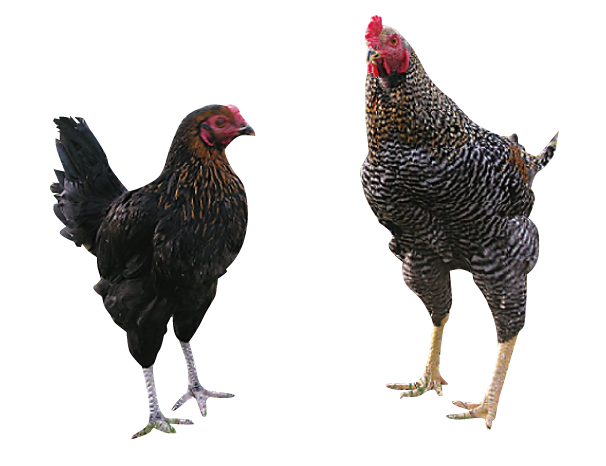 Cultivated using traditional slash and burn agricultural methods. Delicious with freshly cooked rice! This tastes great in winter! 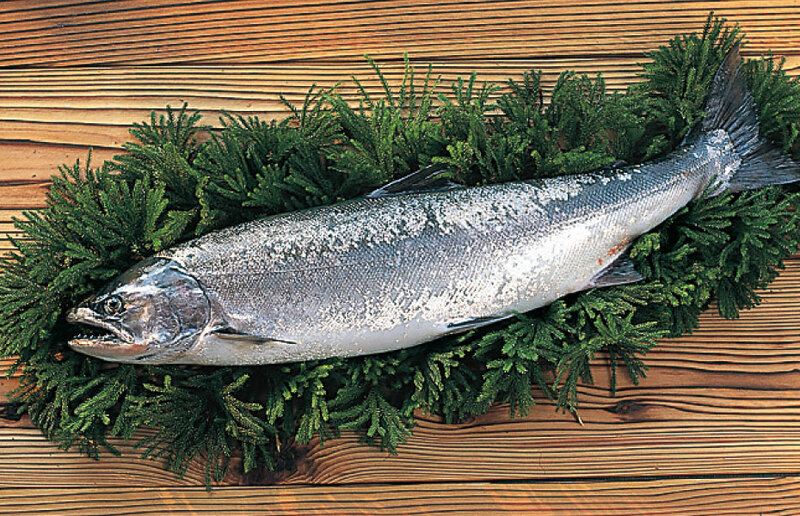 It's the king of winter flavor from the Sea of Japan! 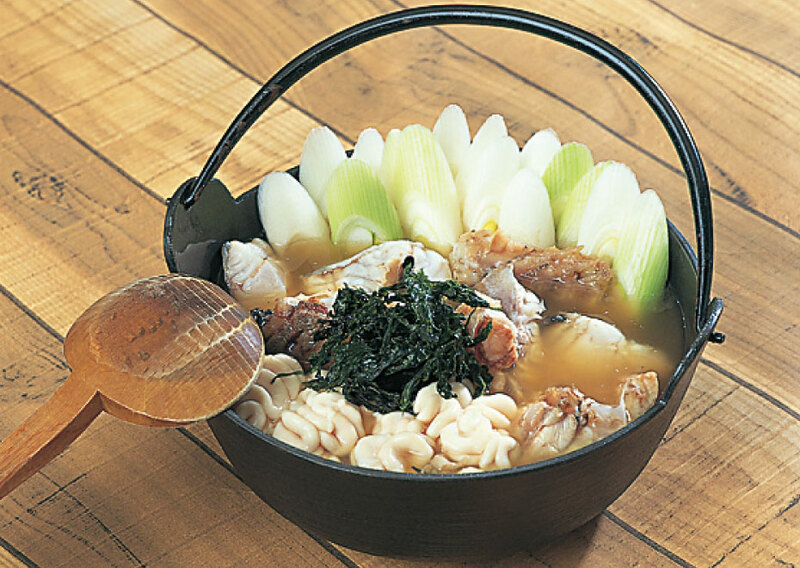 There are countless ways to prepare and enjoy Yamagata's very own original taro root stew. 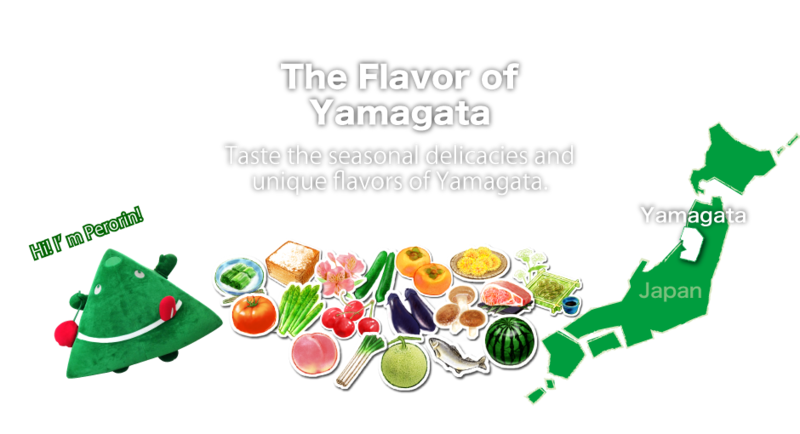 Copyright (C) Delicious Yamagata Promotion Group All Rights Reserved.